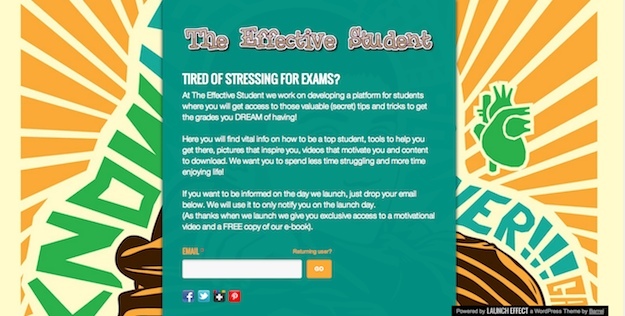 In my experience most bloggers don’t take full advantage of their site’s pre-launch period. I know I didn’t with my blog — my pre-launch page was up for just a matter of days. But anyone that does not appreciate the potential offered in the pre-launch period is missing out on a huge opportunity. In reality, your pre-launch stage can be extremely lucrative in terms of building your email list — if you construct your “squeeze page” appropriately, visitors will have nothing to do but sign up. In this two part series I am going to reveal the pre-launch strategy I am currently following for a personal project of mine. Today my focus will be on my four step process for creating the “infrastructure” that serves as the foundation of your pre-launch period. Part II will focus on promotional strategies to make the most of what can be an extremely fertile period for your blog. This is the only step that isn’t strictly necessary but I would definitely encourage you to create a signup incentive. Upon hitting your squeeze page people will be far more likely to subscribe if they are incentivized to do so. As for what to actually create, I would recommend a resource-packed eBook. It’s easy to create but can be compelling if you hit upon the right topic. Say for instance you were launching a food blog — you could create a “10 Top Recipes” eBook. If I like cooking (and am therefore in your target audience), a free recipes eBook is going to be pretty tempting. 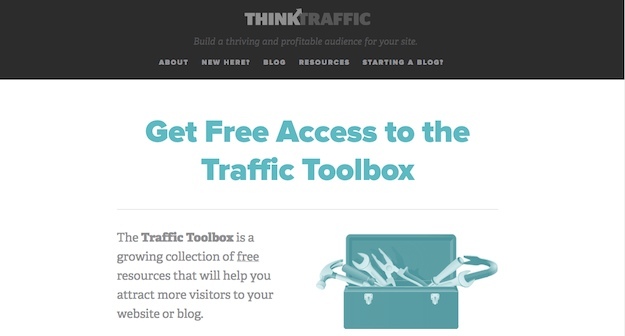 Think Traffic (subject of our recent case study) offers a whole host of incentives to subscribe in the form of their “Traffic Toolbox“. You don’t have to go this far, but you get the idea. If you are going to create an incentive you must do your utmost to ensure that it is of the highest possible quality. You can do more damage by creating a poor quality product than nothing at all, so if you’re going to do it, make sure you spend some time making it both compelling and well-presented. Like I said before, you don’t have to create an incentive for your pre-launch but it will boost your subscriber rates dramatically and can continue to be used after the blog has launched. It’ll be a long term asset. I’m going to talk more about utilizing social media in Part II but for now you should create accounts in Facebook and Twitter at a bare minimum. You should also set up other social media accounts if appropriate (for instance, Pinterest if your blog will be image-heavy, LinkedIn if you will be targeting professionals). Make sure that you take the time to fill in your profiles including of course a link back to your blog and links to your other social media accounts if applicable. It is extremely important to keep your branding consistent throughout your accounts. You want people to recognize your face/logo across the web — it will be far less likely that they do so if images vary from site to site. At this stage you have created these accounts solely so that you can link to them from your squeeze page. In reality you will be relatively active on these accounts throughout the pre-launch period, but we’ll get onto that in Part II. In order for people to subscribe to your pre-launch list you will need to be signed up to an email marketing service. In my humble opinion, this is an area in which you should invest. Whilst there are semi-free offerings out there, I would recommend that you go with a quality product from day one — it will save you a lot of headaches down the line. My only suggestion is AWeber. I’ve used it since I launched my blog back in June 2011 and haven’t ever considered switching. The first month will set you back $1, with subscriptions starting at $20 per month beyond that. That may seem like a lot of money, but when you compare it to the value of the list you are going to be building it is perfectly reasonable. Beyond that, AWeber integrates perfectly with the theme we will be using for your squeeze page — a handy bonus. I am painfully aware of how “salesy” the term “squeeze page” sounds, but in reality, it is simply “a landing page created to solicit opt-in email addresses from prospective subscribers” (Wikipedia). Okay — that still sounds pretty salesy, but you get the idea. However, my weapon of choice is a freemium product — Launch Effect. I believe that the free version of the theme offers everything we need — it is easy to set up and should convert well. It is possible to create some really good-looking squeeze pages with very little effort with Launch Effect, as demonstrated in this round-up blog post. 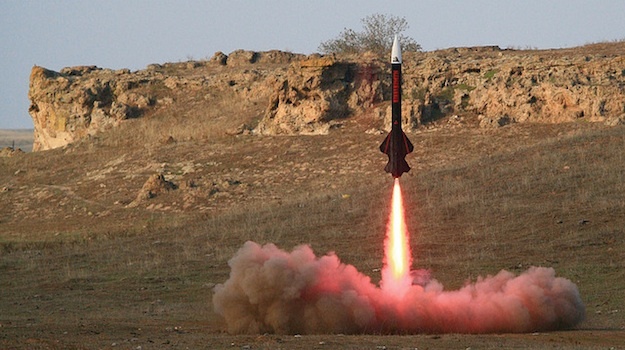 One example of Launch Effect’s capabilities. Setting up Launch Effect is an extremely intuitive process. A key element will be the background image you use — that is what will really set your pre-launch page apart. Take some time to pick out an image that really captures what people can expect from your site. You can check out the Creative Commons image libraries here or fork out a few bucks on a quality stock image from Shutterstock or somewhere similar. That’s about it! You can have your squeeze page up and running in about 10 minutes if you know your way around WordPress. By now you should have the infrastructure in order — now all there is left to do is direct prospective subscribers to your squeeze page. This will be done both directly and indirectly. Stay tuned for Part II of this two part series in which I will be exploring various ways in which you can begin to establish yourself as a known entity in your niche and drive people to your social media accounts and squeeze page! everything out and then start blogging.